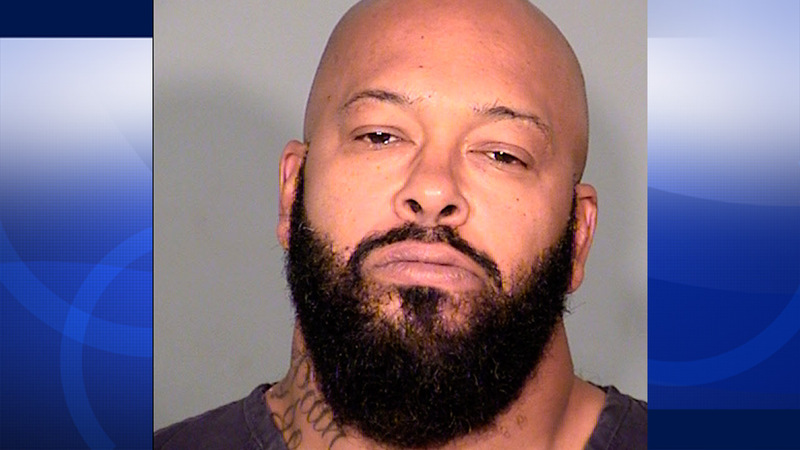 LOS ANGELES -- Rap mogul Suge Knight has been charged with murder and attempted murder in connection to last week's fatal hit-and-run in Compton. If convicted, Knight faces up to life in state prison. Earlier Monday, Knight's bail was revoked. The Los Angeles County Sheriff's Department says Knight is a flight risk and a three-strike candidate, and there is a possibility of witness intimidation. His bail was previously set at $2 million. Knight remains at Men's Central Jail, awaiting his first court appearance scheduled for Tuesday morning at the Los Angeles County Superior Court. Knight was charged with one count of murder, one count of attempted murder, two counts of hit-and-run with an allegation that he committed a serious and violent felony while out on bail in another pending case. The Death Row Records founder is accused of intentionally running over two men with a pickup truck on Thursday following an argument in the parking lot of a Tam's Burgers in the 1200 block of West Rosecrans Avenue. His attorney James Blatt says the incident was an accident, and that Knight was trying to flee in the truck after being attacked. Terry Carter, 55, was killed, and actor Cle Shaheed "Bone" Sloan, 51 was injured. The group was filming a promotional video for "Straight Out of Compton," a biopic on the Compton rap group N.W.A. Knight was at the center of one of the most notorious rap conflicts of the 1990s, pitting Tupac Shakur against Biggie Smalls in an East Coast-West Coast rivalry. Knight was sent to prison for nearly five years for badly beating a rival with Shakur at a Las Vegas hotel, just hours before Shakur was fatally shot while riding in Knight's car just east of the Strip. The recent case remains under investigation by the Los Angeles County Sheriff's Department.